As gardeners, grounds-curators, farmers or people who just love green grass and lush growth, we all know that plants (whether they be trees, bushes or grass) need sun, water and nutrients to grow. If there is an ample supply of nutrients in the soil, plants are more likely to grow well and produce the outcome that we are seeking. However, if one or more of the nutrients is in short supply, plant growth will be limited and the outcomes poor. So … this brings us to the need to fertilise. Fertilisers are not just fertilisers - and the importance of understanding your soil profile BEFORE applying anything is the first vital step. It's rather like the human body - eat too much of any one thing and this could result in negative impacts on the quality and length of our lives - this also applies to the soils. 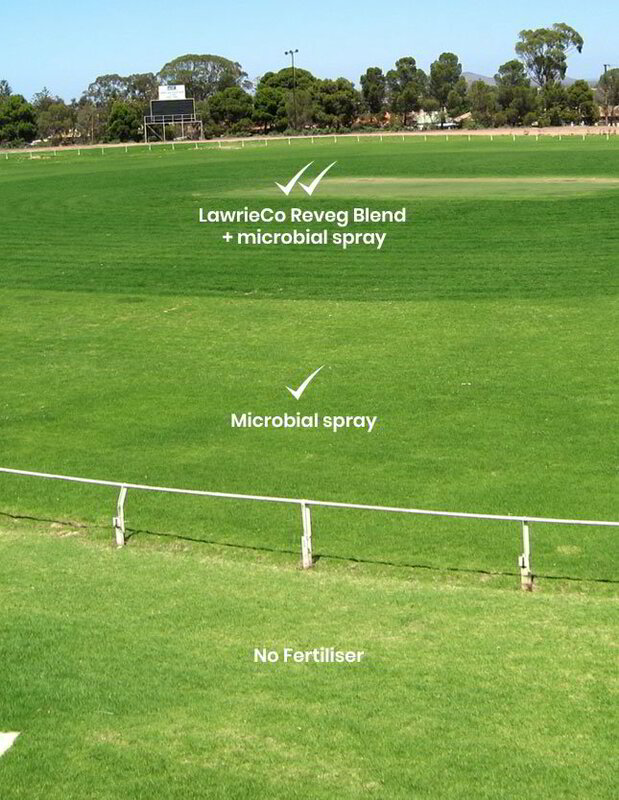 Isn't it important, therefore, to ensure that we 'feed' our turf environments to obtain the best possible long-term outcomes? The only way to do this is to help the soil to help itself by regenerating its microbial life, thus ensuring that the plant/soil/nutrient/water relationship is at an optimum level. Turf is a carbon sequester. Based on the sheer volume of land under turf, some studies have found that turf could be one of the world's biggest 'crops' when it comes to sequestrating carbon. Living turf is much cooler than artificial turf and far cooler than concrete. Turf is a filter for heavy metals and fifteen square metres of lawn produces enough oxygen for a person to breath. This is in direct contradiction to the negative press from many environmentalists stating that turf mowers cause pollution, and that turf uses too much water.